For years exhibitors have been offered a lead retrieval system for events. Now there is a real alternative that goes so much further than just collecting the business card information offered in general lead retrieval systems. We've named it LeadReference. It is a lead management system that is revolutionising the way exhibitors collect and manage leads at events. LeadReference is a powerful secure system that enables your exhibitors to collect, manage and follow up on their exhibition. That means it helps them to maximise the ROI of their participation in your event. Once you've agreed that we can offer LeadReference to your exhibitors, they can be sent an email containing a link to order LeadReference. They are provided with their own, unique login details for the LeadReference system. This enables them to create lead qualification questions well in advance of your event. Many of your exhibitors will want to qualify the leads they take at your event. They may only want to be able to identify the person who took the lead or they may want to add other information such as the product or service that is of interest, their position on the buying cycle, whether or not they need a demonstration... there are many ways in which leads can be qualified. If the exhibitor chooses to use the lead qualification feature, all the information they add to each lead will be included on the reports they can see at the end of the event. 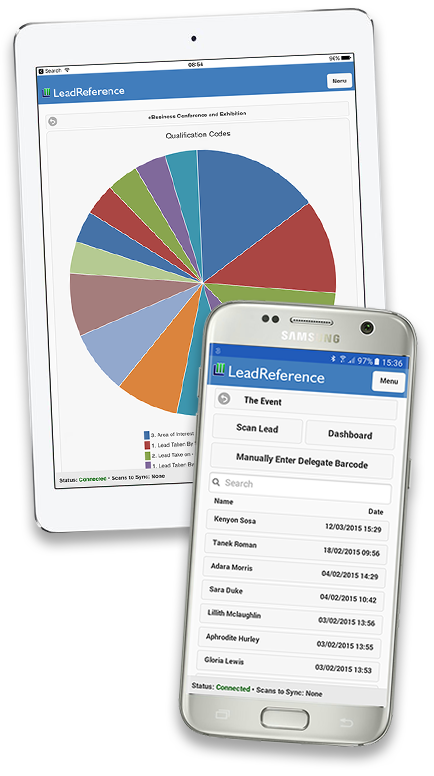 Your exhibitors can also carry LeadReference with them throughout your event by installing the LeadReference App on their smartphone. It works on iOS and on Android and can operate across multiple mobile devices. 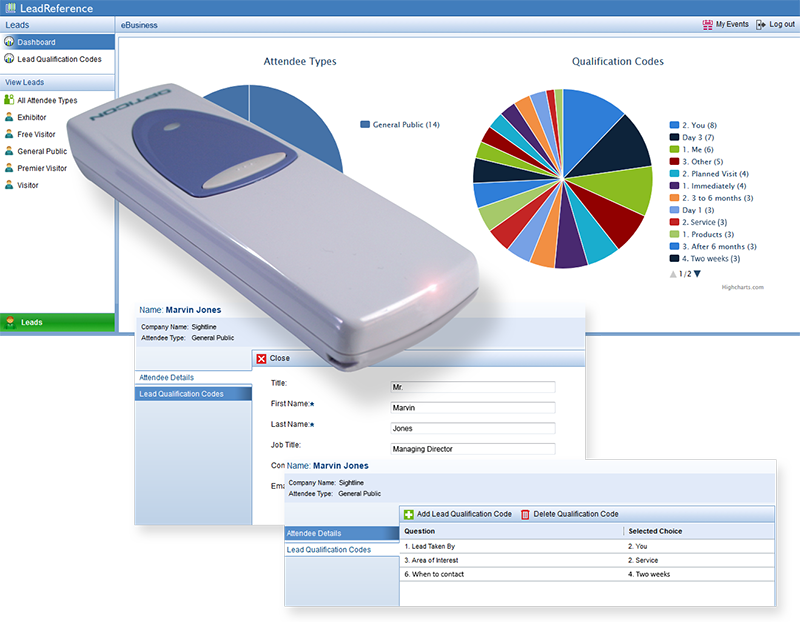 If the device is used to scan a badge barcode while it has a network connection, the data is uploaded immediately. If there is no network connection, the app stores the scan until it can be uploaded. And if your exhibitor is using the lead qualification feature, it operates on a touch screen, making the process faster and more convenient. If you'd like to know more about lead management using LeadReference, please get in touch.